Que reunites with Bobby Johnson on "Fit In." 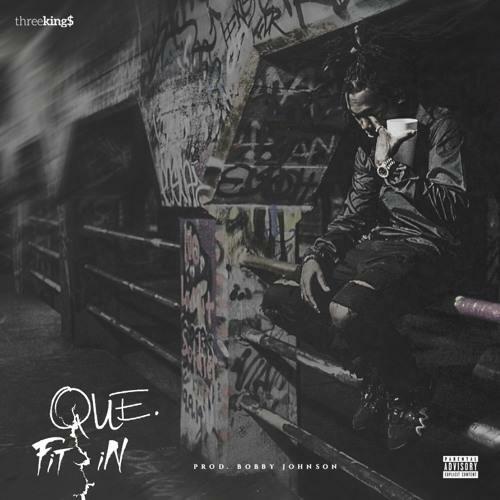 Que's 2013 hit "O.G. Bobby Johnson" was produced by a guy who shares his beatmaking alias with the name of the titular character, and was pretty much singlehandedly responsible for putting him on the map. Today, the team behind that jam reunites for a markedly different, but perhaps equally impressive cut called "Fit In." Whereas "O.G. Bobby Johnson" thrived on aggression and machine gun-like percussion, this one's strength is in its moody sonic landscape, a swirling dirge of synths that Que matches with mournful vocals. He sings of alienation and difference in perspectives, presenting a much different side of himself than he did on recent cuts like the menacing "Handle My Business."